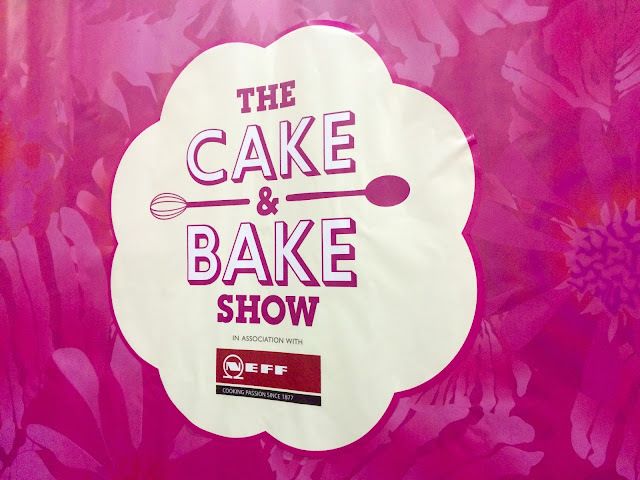 Earlier this month I visited The Cake & Bake Show at Event City in Manchester. I've been to similar trade shows including the Ideal Home Show in the past and enjoyed looking round and thought what's not to like when cake is concerned! The popularity of The Great British Bake Off has encouraged many of us to put on our aprons and have a go ourselves. I won't be making any showstoppers anytime soon but I've already got an ever growing list of things to bake in time for Christmas! One of my highlights from the show has to be watching contestants from The Great British Bake Off giving demonstrations at the 'The Great British Bake Off Live' stage. 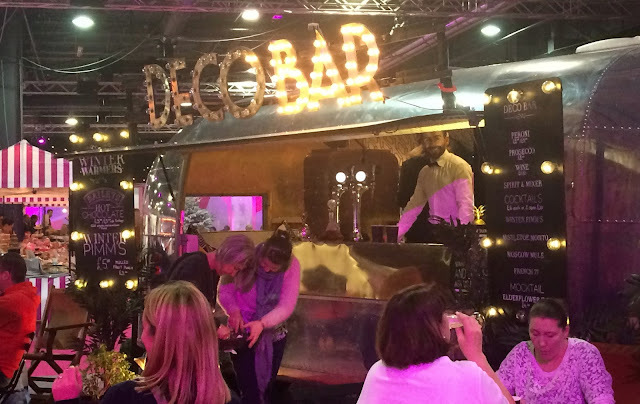 I was lucky enough to see one of my favourite contestants Ian from the most recent series (He made a working chocolate well in the showstopper challenge one week on the show.. need I say anymore!) 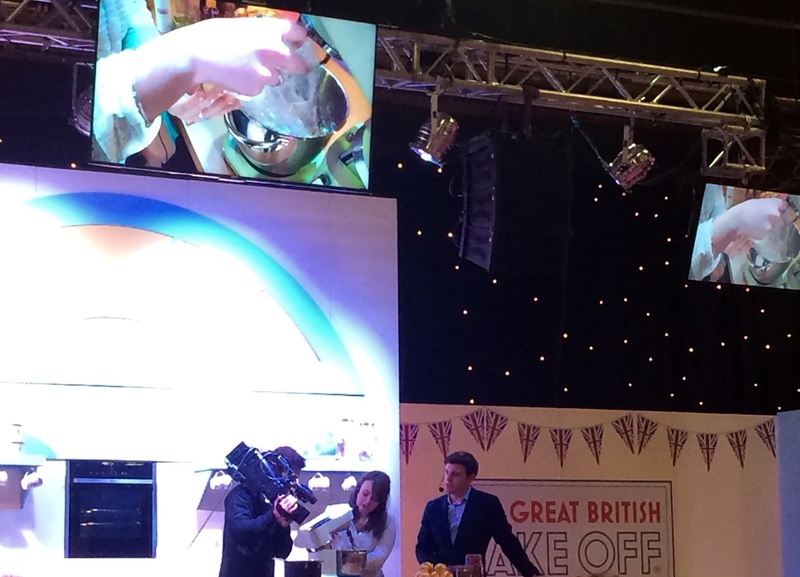 I also watched Flora from the recent series baking a cake and making her own jam to decorate it with. 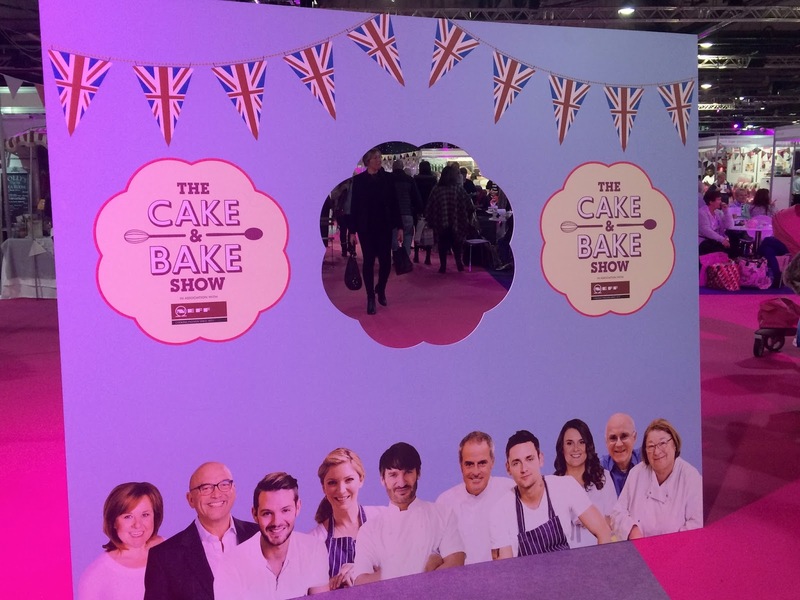 There was a range of contestants from the different series of GBBO appearing across the weekend. 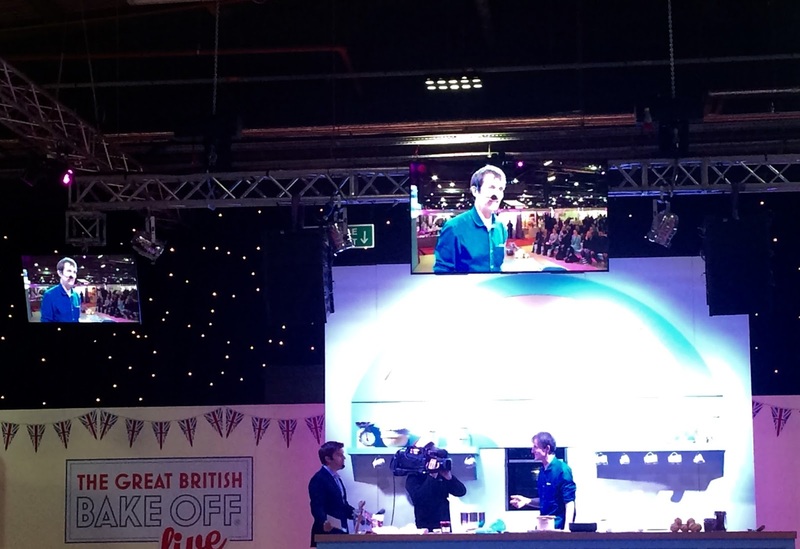 Celebrity chefs were also in attendance appearing at another theatre offering demonstrations and answering questions from the audience. There was lots of professional cakes to admire, I loved the London design on the official show cake and of course the Frozen cake was attracting a lot of interest. 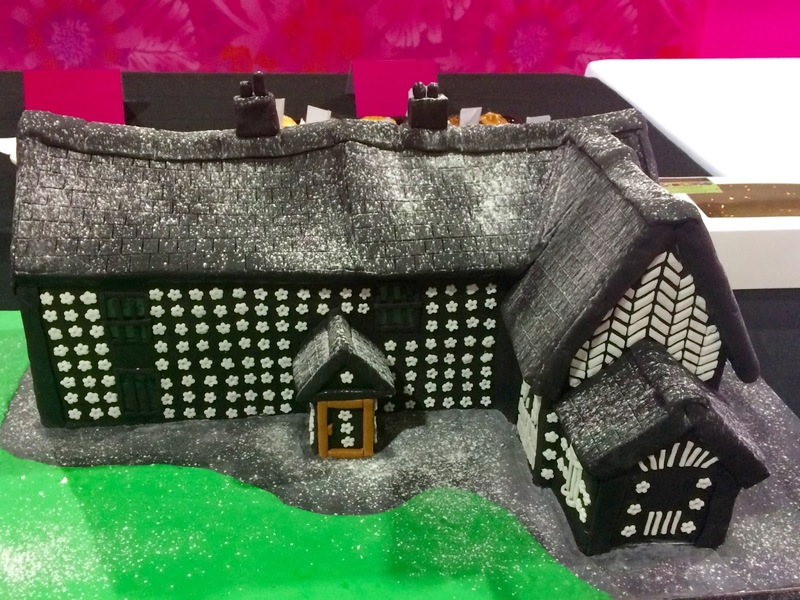 There was a marketplace area full of stalls selling cakes, biscuits and chocolates to buy alongside baking tools and decorations. 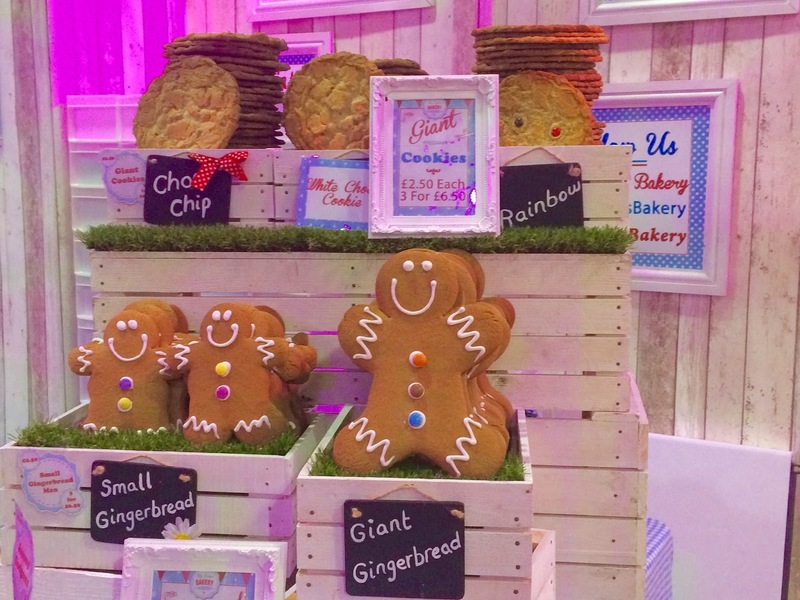 I couldn't not get a photo of these super cute Gingerbread men, and yes they tasted as good as they look! 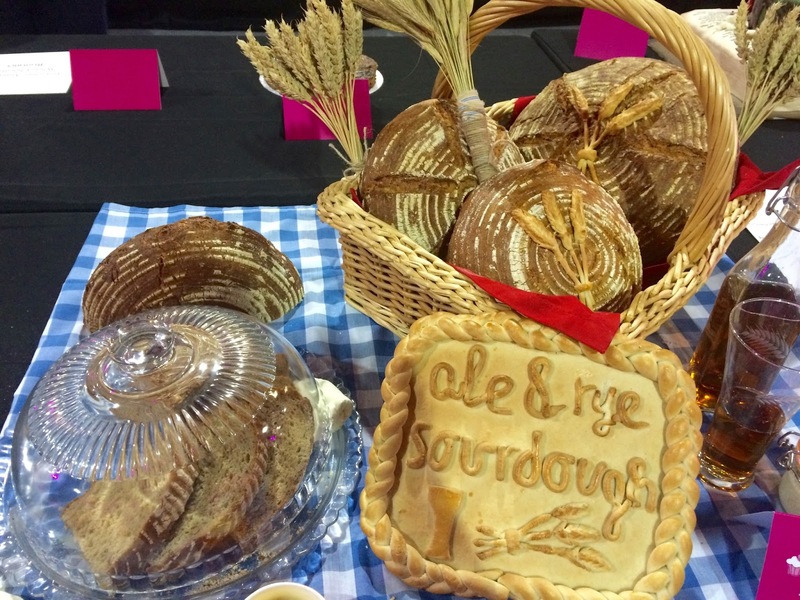 It was great to see the baking competition entries which seemed anything but amateur to me! 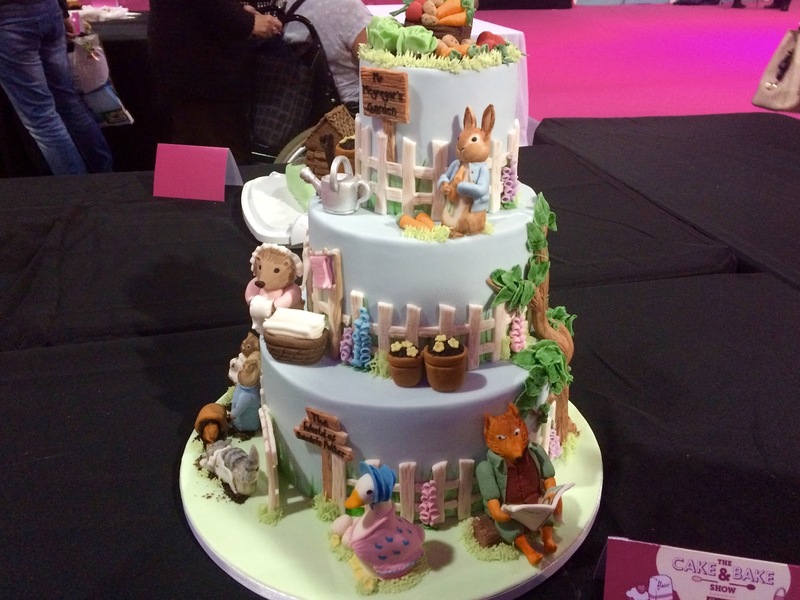 My favourite in the category was this amazing Peter Rabbit cake. 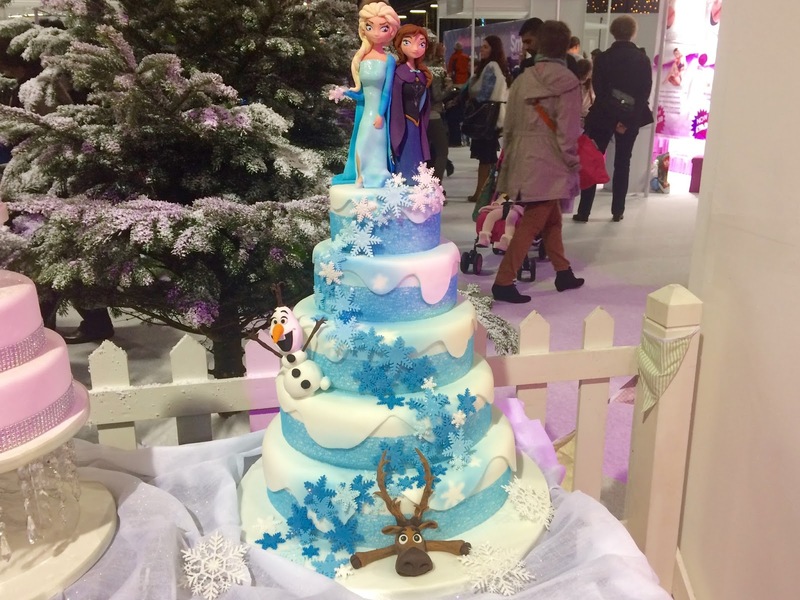 You could really see how much hard work and detail must have gone into creating all the characters. 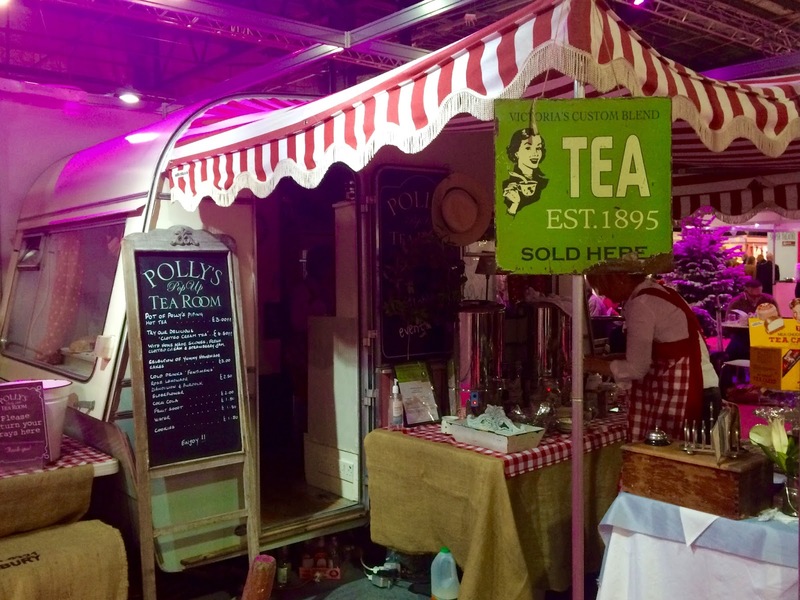 There was a range of pop up bars serving champagne and cocktails to enjoy alongside a sweet treat and even a vintage style tea room offering a more traditional cup of tea served from a caravan if you fancied a sit down and wanted to relax from all that shopping! 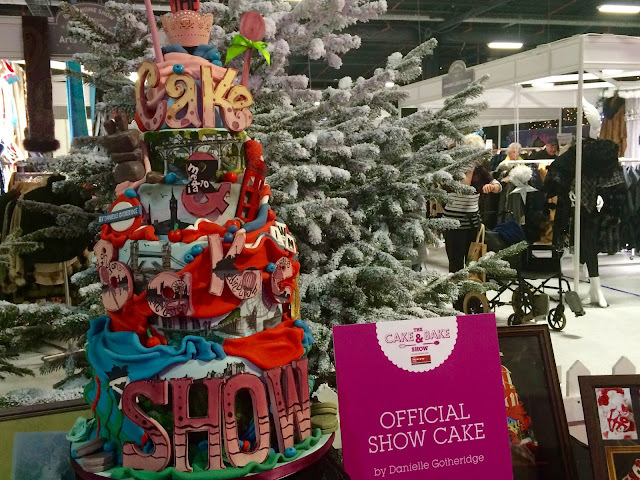 Have you been to The Cake & Bake Show?